According to information in the Waits Compendium, the razor was made by International Safety Razor Corp. of Bloomfield, NJ and International Safety Razor Co. of North Action, MA. The Speedway trademark was first used on May 20, 1924. The trade Mark was filed on June 6, 1924. 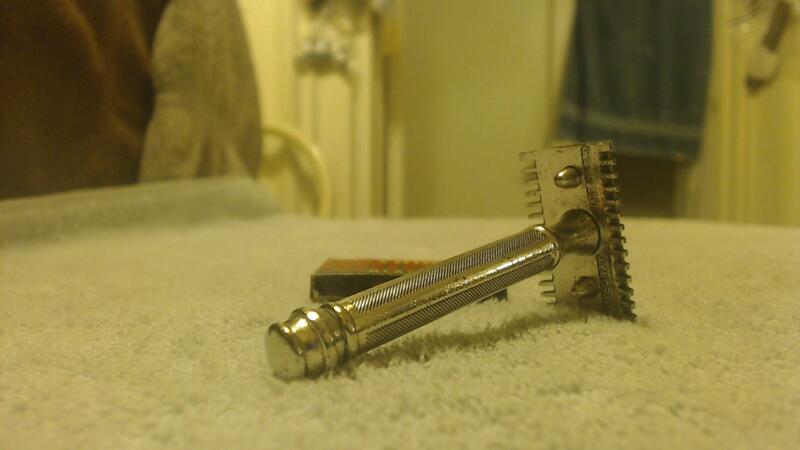 This Speedway safety razor is in Fair Condition. 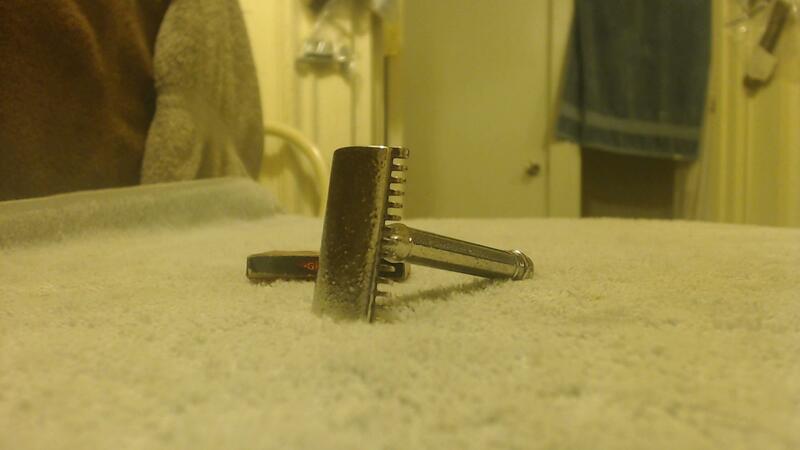 Whoever made this razor could have learned a thing or two from the people at Gillette. I can't tell if it just wasn't taken care of or if the plating job is subpar. 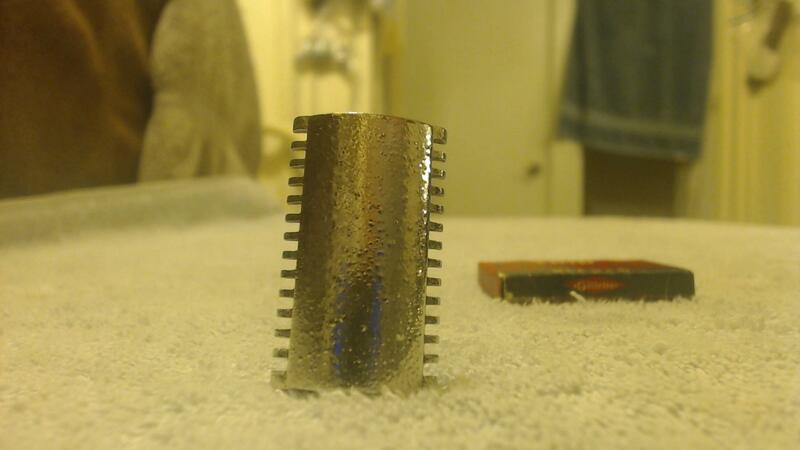 Regardless, I thought there might be some interest from those that collect off brand razors. Stamped 'SPEEDWAY' and 'MADE IN U.S.A.' on the underside of the bottom blade plate. This Speedway's Nickel Plating has Not withstood the test of time very well as can be seen in the pictures, for some reason both sides of the blade plates have this pocking, I have no idea if it's from a bad plating job or not, the handle of this razor is an Art Deco Design that is in great condition with No Plate Loss, Cracking or Corrosion. 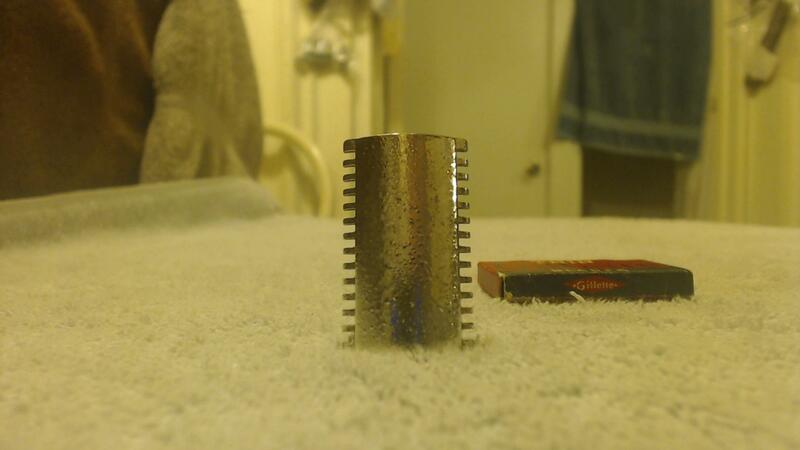 All the teeth of the open comb tooth blade guard are Free from Bends or Breaks. Also included is an NOS box of Gillette Thin Blades that has never been opened. 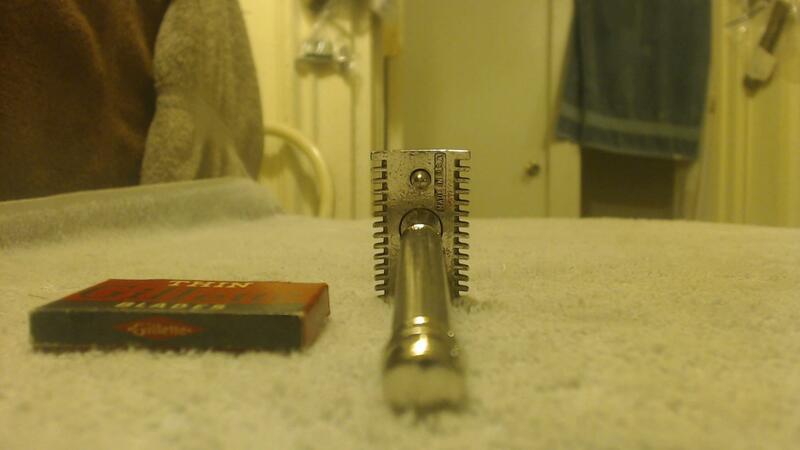 This is a very collectible razor but not really in collectible condition, it will make a great razor to shave with and if it were to be re-plated than would be very collectible. Please be sure to see all the pictures. Shipping: 1-2 Day Handling Time, USPS First Class Mail with Tracking Number. International buyers pay according to location. Returns: I Have a 14 Day 100% Moneyback Refund Guarantee. Good feedback is very important, if you have any complaints with the item that you purchased don't call customer service get in touch with me immediately and tell me what you want and if you want a full refund, I will refund your money immediately! All times are GMT -7. The time now is 12:26 AM. Copyright (c) 2008 - 2011 RarityGuide, Inc. All rights reserved. All trademarks and copyrights are the property of their respective owners.